Bring water to a boil in small saucepan, pour 1 tsp of salt, pour 1 spoon of bvinegar and reduce heat to minimum. Gently pour in water fresh egg. 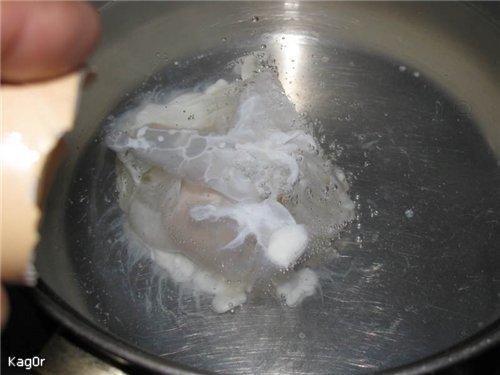 Boil for a few minutes to get «white bag», clotting of white. 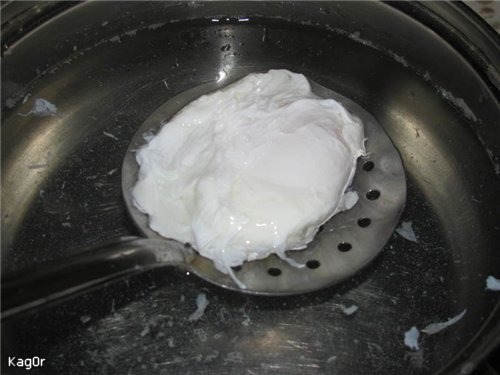 Then gently with a slotted spoon remove the cooked egg and place it in another saucepan with cold water. 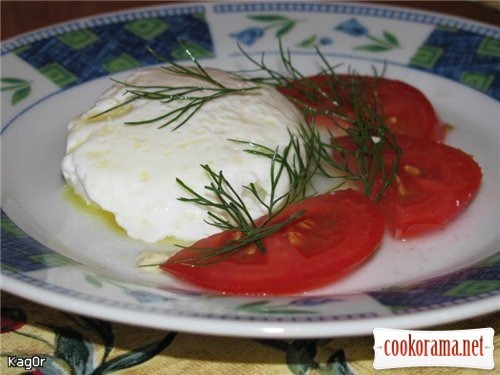 Lay chilled egg on a paper towel to remove excess moisture, then put in a bowl, pour melted butter, sprinkle with chopped dill and salt to taste. 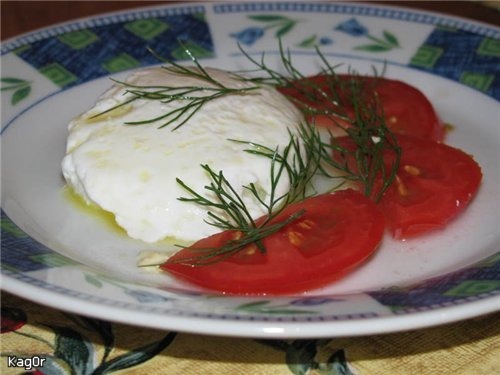 Top of recipe "Poached eggs"
Ні, він має бути рідким в мішечку з білка.